The Absolute Best Fish Taco in New YorkCrispy, creamy, crunchy: Baja in a bite. 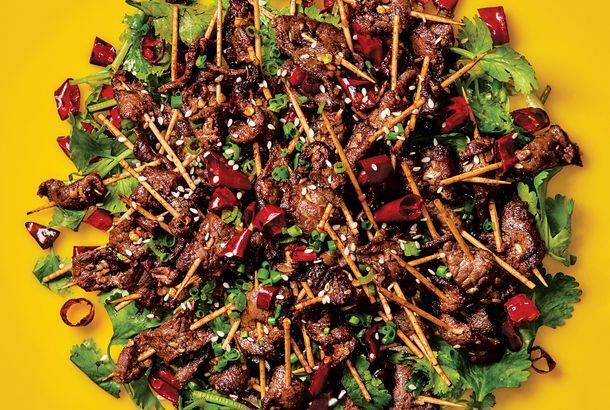 The Underground Gourmet Digest: The Best New Things to Eat Right Now, RankedMeat on a stick, red beans and rice, instant coffee, and more. Sunset Honors Reel Inn’s Fish TacosThe Malibu restaurant even gets credit for innovating fish tacos! It’s a Nice Day for a White Castle Wedding; Subway Opens in Union StationA couple ties the knot at a burger chain, while the sandwich franchise opens its 600th L.A. store. FDA Won’t Condone Milk Sharing Among Nursing Mothers; Pennsyltucky HuntersPlus fish tacos and other Mexican dishes are more popular than ever, and Starbucks and Kraft are embroiled in a kerfluffle over distribution, all in our morning news roundup. Saby’s Starts Fish Taco TuesdaysChef Mario Curiel is now offering two-dollar salmon and ahi tacos with handmade tortillas in Mar Vista. Man Crashes Car Into El Atacor; Melrose Place Cafe Waitress Gets Big BreakOne customer is injured at the Cypress Park taco classic while Christina Perri trades in an apron for appearances on national television. Glendale Gets So-Called Best Fish Taco in EnsenadaJoseph Cordova hopes to have six more locations and four taco stands in the next months. Best Fish Taco in Ensenada ExpandsIs there any justice in the world of L.A. Mexican food? 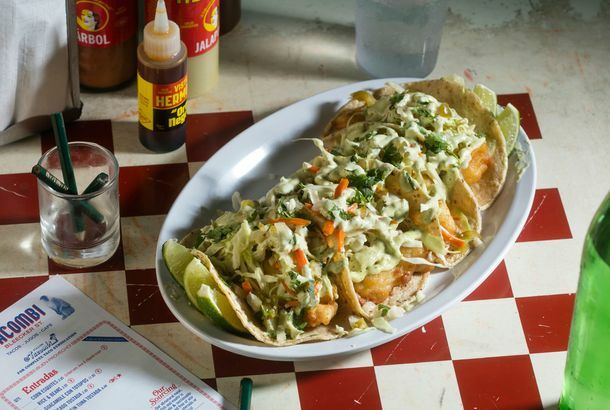 Taco Del Mar Bringing ‘Awesome’ Fish Tacos to UptownA taco chain with SoCal style is opening on Broadway and Irving. A First Look at Zero Latitude, Where South Williamsburg Meets South AmericaA new café has culinary aspirations: risotto con pollo? Eric Ripert Picks Manhattan’s Best Fish TacoLe Bernardin’s maritime mastermind turns his discerning eye to street food.